A bill introduced in the 1927 legislature by Representative T. E. Martin, Montgomery County, making the goldenrod the state flower, became a law on September 6, 1927. 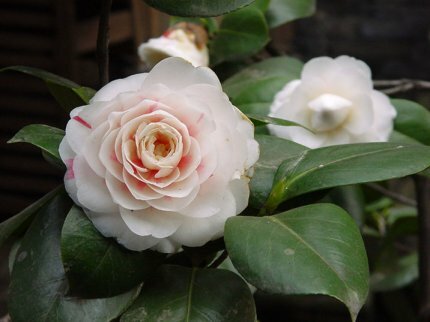 House Bill 124, approved August 26, 1959, amended Section 8, Title 55, of the Code of 1940, to read: "The camellia is hereby designated and named as the state flower of Alabama." (Acts 1927, No. 541.) In June 1999, the Legislature designated that the camellia, Camellia japonica L., is the official state flower of Alabama.